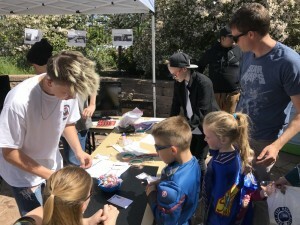 The sun wasn’t the only thing shining at the Central Utah Water Conservancy District’s Water Festival at Central Utah Gardens in May. 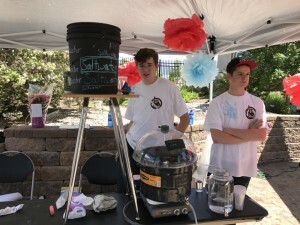 On hand to share their innovative efforts in desalination, robotic sprinkler sensors and more water-efficient faucets were ninth-graders from American Fork Junior High School. It capped a year-long, multi-discipline project in cooperation with Central Utah Water Conservancy District and Vivint. 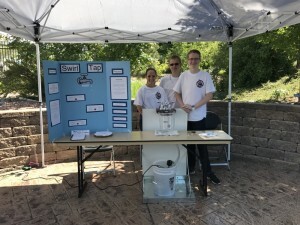 Ocean water contains about 35,000 particles per million, and the team brought it down to 100 in the finished product. It was all very interesting, said Elani Sesions. The students were dealing with things beyond their teachers’ knowledge, said English teacher Matt Strock. It was hit-and-miss in the beginning, admitted Jordan Cox, when his team began working on the cyborg sprinkler system. “None of us had background in computers or anything,” he said. “We’re really proud of these kids,” said science teacher Lisa Allphin. The festival lets them shine for a moment, she said. That, along with what they’ve learned in the process, has helped them believe they’re capable of great things. Even when the project didn’t turn out as planned, the students took valuable lessons home from the experience. “The 3-D printer isn’t really as easy as it seems,” said Joel Edwards. “The big message is that every drop does count,” Byran Lucas said. “And every idea, even if it seems insignificant, contributes to the solution,” added Joseph Brandow.